Sometimes the smallest DIY projects make the biggest impact. 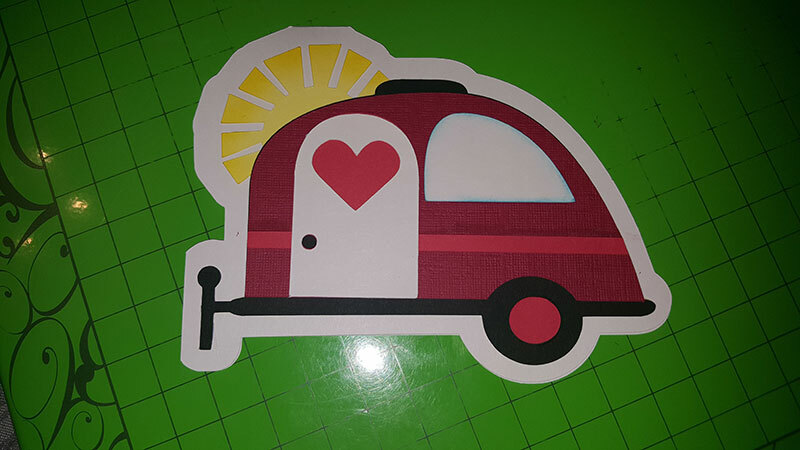 That’s why we’re thrilled to be turning the spotlight on home-based daycare owner Tammy Nickel, who’s been using her Cricut to create charming projects for the young students in her charge. Tammy, please tell us a bit about yourself. 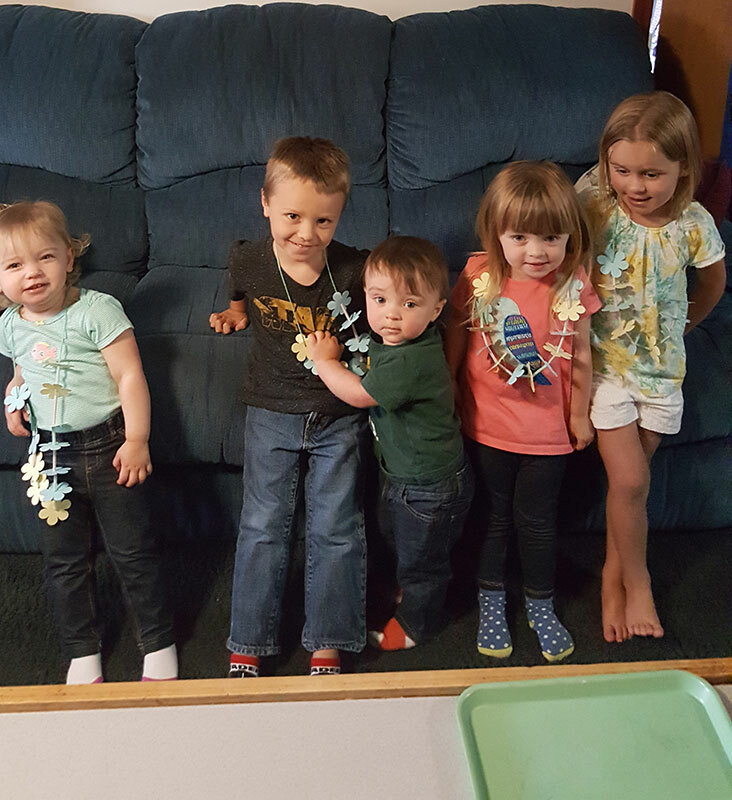 I’ve been running an in-home daycare now for 10 years. I’m blessed with great kids and an amazing program. 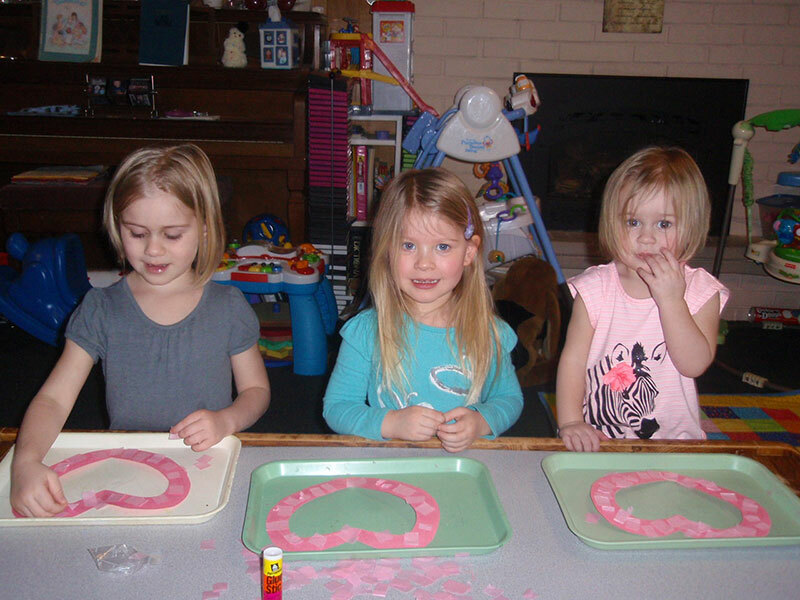 Every day, I do some kind of themed lessons, and I used to buy the “pre-packaged” daycare lessons that came with a craft. But after a few months, I realized that I could come up with similar ones on my own, and it would be easy to make the crafts on my Cricut machine. So now I do it all, and it’s so much fun to make sure that each of my lessons has a craft. I try to use different mediums, but my backup is always cardstock. There are many different resources that I look to for inspiration, and my Cricut helps me design the crafts and cut out each piece. It saves me hours of fussy cutting! What was one of the most memorable experiences you’ve had with one of the Cricut-created lesson/crafting projects? This year we’re focusing on the alphabet. 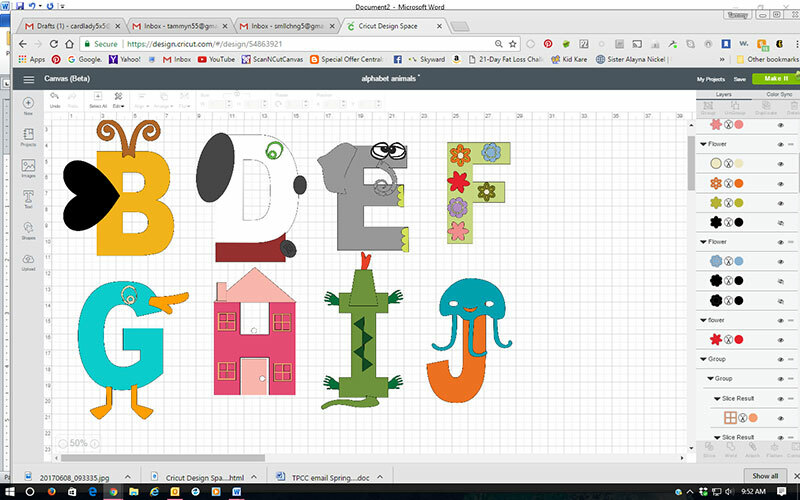 When I started this unit, I turned to Pinterest for inspiration, and saw the letter “A” turned into an alligator. It was super-cute, and I decided to do that for each of the upcoming letters. So, I went to my Cricut and designed something for every letter of the alphabet. I found that I could find almost any piece I needed on Cricut Access, and if I wanted something slightly different, I could upload it. What have been the kids’ reactions? The kids love them and always look forward to seeing what we’re going to make out of the letter of the day! I’m also planning on trying different mediums with this project, like fabric or chipboard. Do you use the Cricut machine in your personal life too? I love to make cards for birthdays, Mother’s Day, Father’s Day, etc., as well as things for all the ladies in my church! I couldn’t do it without the help of my Cricut. Everyone always look forward to getting a card and seeing the fun interactive elements that I’m able to create. I also like to give personalized presents and plan to make each of my students a shirt at Christmas using the Cricut iron-on. There are just so many things you can do with the Cricut. The options are limitless! Tammy, we love how you bring your heart and soul into everything you create. Your personal touches are sure to be remembered for a long time to come! 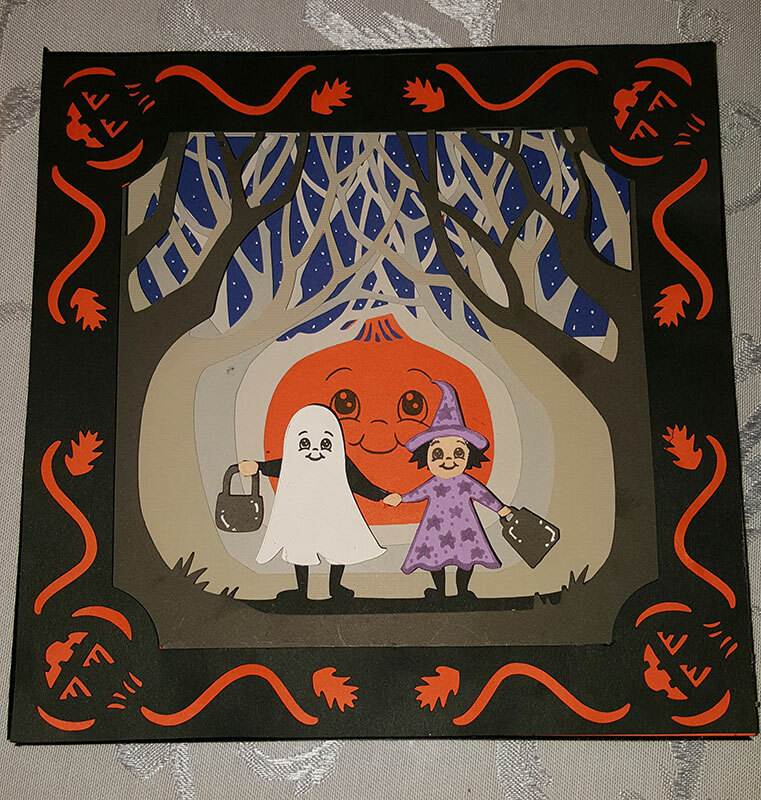 Have a little one who loves a Cricut craft? Show us with #CricutMade. Thanks Tammy for some great ideas I can use for my 13 grandchildren and one great granddaughter. I hope on using some of them! Hello, I just bought a cricut expression 24″ personal electronic cutter at a garage sale. Do you know if there is someone that might school me in what to purchase for the blades, size pages, or vinyl? I could sure use some advice. Looks like I have about 8 different cartridges for fonts, etc. Maybe they don’t even make the tools anymore. Please help me find out if I made a bad investment. You can get blades for this and the housing in our store. Read the descriptions to make sure that it is not one just for Explore. https://shop.cricut.com/en_us/essentials/accessories/blades-scoring.html We also have the mats and vinyl/other materials that you can use in this machine. Happy crafting! If you are signed up for our newsletter or follow us on social media, we will announce when it’s available for sale.